From the curve of each log to the height of the stack, your White Mountain Hearth Log Set complements the burner pattern for a lifelike fire. Complete the illusion with one of our optional Ember Bed Kits and Platinum Glowing Embers. Your White Mountain Hearth Vent-Free log set creates a consistent, controlled heat – without dangerous flare-ups or chilling die-downs. 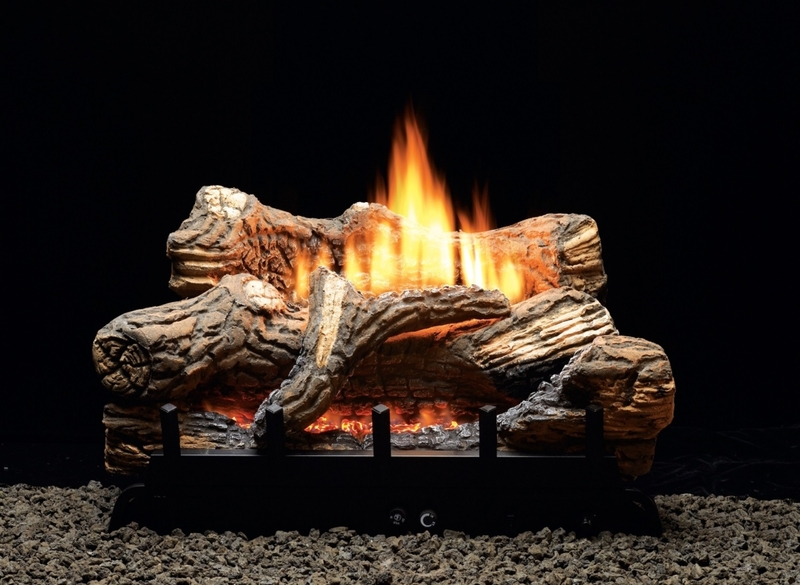 These gas logs warm your room quickly and efficiently, while using about half the energy of a vented gas log. 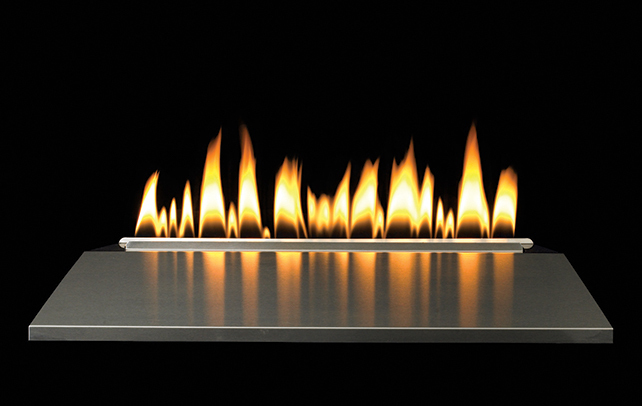 Our popular Slope Glaze Burners raise the standard for dancing flames. Internal ceramic beads tumble the gas to create exceptionally realistic flame movement. Eight log looks from which to choose. A Vent-Free system uses room air for combustion and delivers 99.9% of the available heat energy directly to the room. Vent-Free systems have an unmatched safety record, thanks in part to their clean-burning technology and their Oxygen Depletion Sensor, which instantly shuts off the valve if oxygen in the room drops to and unsafe level. Because no venting is required, Vent-Free systems offer more installation options. Vent-Free systems are limited to 40,000 Btu and must be operated as supplemental heating sources in conjunction with a central furnace that circulates air. 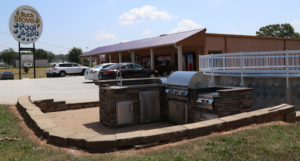 Empire manufactures White Mountain Hearth indoor and outdoor fireplaces, inserts, logs & burners, cast iron stoves, and mantels at the company’s two manufacturing facilities in Belleville, Illinois, just outside of St. Louis. The company has provided jobs to southern Illinois residents for more than 100 years – both in the original sheet metal shop dating back to 1911 and in the manufacturing facility that opened in 1932. The children, grandchildren, and great grandchildren of some of the original employees still proudly work to produce our products, truly making this a family business. Gas or Electric Fireplaces: Which is a Better Fit for Your Home? 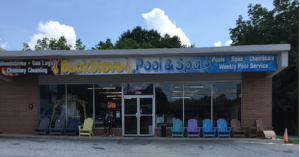 Get In The Hot Tub!